It’s time for the bright colors up in here! Okay… You all know I’m obsessed with writing. It’s my ultimate joy to share pictures and my life stories in this thing called life. Felt letter boards is basically that homemade delicious and scrumptious icing on my cake. It’s way more fun than my pen and paper, and more bright than my rather colorless keyboard. It’s also my favorite way to spruce up as a finishing decor in the rooms of my house! As A Felt Like Sharing partner, This summer season, I want to share with you guys the Citrus letter set. There are four colors in this set and each one of them screams summer, doesn’t it? I honestly want a popsicle right now. 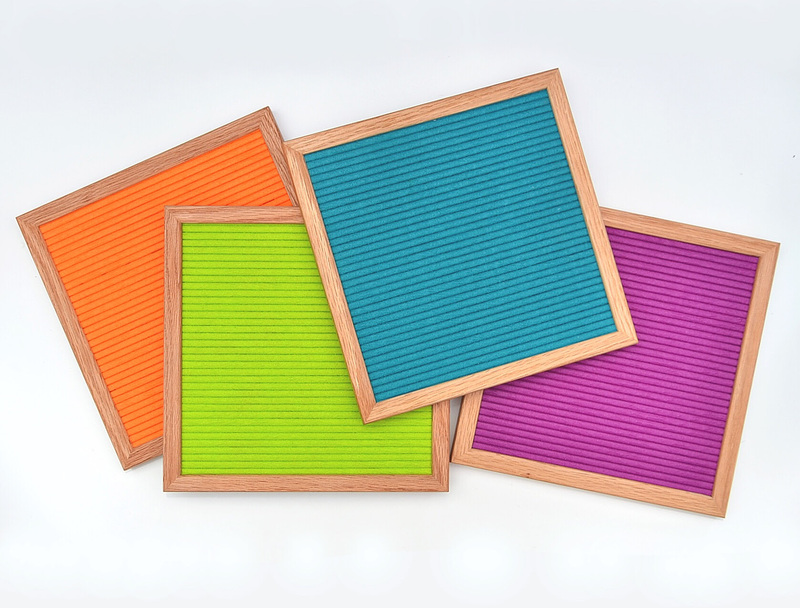 Each of the colors are bright, fun, and adds so much color to your letter board! Lemon is a bright yellow color that sure does resemble a lemon and also the sun that my kids paint in all their drawings. You can’t skip the color yellow in a summer themed letter set, right? Lime is just how you see it, the color of lime! Although, when I first glanced at it, I just thought of the beautiful state I live in with all the green trees. If you know me, you know I love the color green and that’s every shade of green! Grapefruit is a bright pink that is similar to the pinky promise, but it is brighter in shade! Lastly, meet Clementine! This shade is so unique and beautiful. I love the subtle orange shade! Life is short, squeeze all you can out of it! Also… life is also extremely short, so why not grab this limited edition Citrus letter set as an addition to your Felt Like Sharing collection? It looks so great in contrast with this gray felt letter board, but I can imagine it would look super cute with white, black, and even blue! Well, wait a second… blue! I may have a little girl with a cute blue letter board with these warm yellow light all around her. Friends, I truly love this set! The colors are just what I need for Summer. I can’t wait to show you what I end up doing to beautify my home with these letter set. Neon Orange, Kiwi Green, Tantalizing Teal, & Perfectly Purple will be available on Friday, 9 AM CST. Don’t miss out and stalk Felt Like Sharing website! Don’t forget to receive $14 off your purchase with code “LIVI14OFF” Alright my friends, I think I shared an abundance of colors today, I may need to go get some popsicles. Thank you for visiting and until next time! Previous Post Mommy, I’m Five!